1. Enter your info in the form on this page. 2. Hop On a Quick Call. 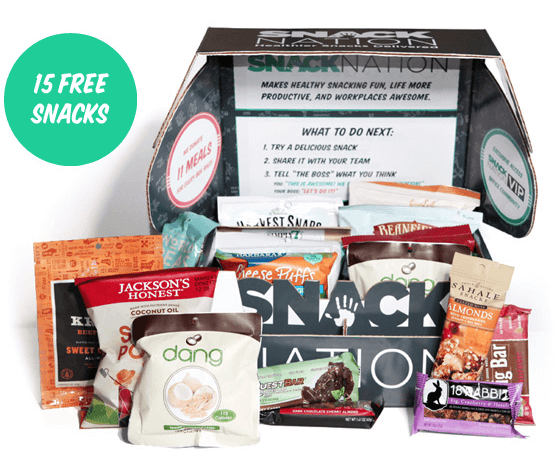 Speak with a friendly SnackNation Office Snack Expert to see if SnackNation makes sense for your office, even if you already have some sort of snack program in place. We’ll send you a free discovery box of our most popular snacks. 3.Enjoy Free Snacks. When the box arrives, open it up and have your coworkers experience the most delicious and healthy snacks available in the marketplace today!